Periodically we are told that the historical novel is dead - and then along comes Hilary Mantel winning the Man Booker for the second time, setting reading fashion on its head again. Suzanne Ruthven talks to Autumn Barlow, publisher for the new John Hunt PublishingExplore the "Our Imprints" section to learn more about our uniquely qualified publishers and their supporting teams. imprint for historical fiction, Top Hat BooksAn Imprint Of John Hunt Publishing. Historical fiction that lives. We publish fiction that captures the contrasts, the achievements, the optimism and the radicalism of ordinary and extraordinary times across the world..
SR: It was refreshing to see that your first ‘release' is a Western - or more correctly - a native American novel by Julie Buckingham, They Walked Into Darkness. Does this mean you're open to any genre providing it fits into a historical context? AB: Yes. As I see it, "historical" isn't actually a genre itself. Within historical fiction there are literary works, thrillers, romances, action-adventure, and of course Alternate Histories and historical fantasy. The emphasis has to be on the history, as there is overlap with other JHP imprints such as Cosmic Egg. Our primary aim is to tell an entertaining story. SR: How keen are you on historical accuracy when it comes to submissions? AB: This is essential, and it's what defines historical fiction. Readers of historical fiction really do know their stuff, and mistakes can mar the experience. I'm a historical re-enactor myself, and I know the rage that can boil up when I stumble over an inaccuracy in a tale. But I would also counsel against shoe-horning endless historical facts into a book just to force the writer's knowledge at the reader. I appreciate we have to fudge some areas. There are things we simply don't know. And there are changes a writer might make for the sake of story - but it must be done sensitively. I would be happy to read a book about an unusually bold female explorer in the Victorian times, as they were rare but known. But her reactions must still reflect the sense of the times. And people often underestimate how our sense of self within community has changed over the centuries too, and how influential religion was. SR: Your guidelines state that you are looking for fiction that goes "beyond the narrow, foggy slums of Victorian London" and asks: "Where are the tales of the people of fifteenth century Australasia? The stories of eighth century India? The voices from Africa, Arabia, cities and forests, deserts and towns? The genres will be broad but clear. Whether we're publishing romance, thrillers, crime, or something else entirely, the unifying themes are timescale and enthusiasm." Would you like to add anything for the benefit of authors who would like to submit a proposal to you? AB: Make it fun. Play with boundaries. Challenge me, but don't lose sight of the entertainment. Grab me from the start, and keep shaking me right through the book! Furthermore, for the sake of your own writing craft and for promotion purposes, write widely. Don't just write one novel and sling it at me. Write short stories. Write essays. Use your research to write articles for blogs and magazines. Attend talks and conferences. I hate to say "brand yourself" but that's exactly what I mean. An author is so much more than 80,000 words on a page. SR: Is there anything you don't want to receive? AB: First drafts! I issue this plea to all authors: put your work in a drawer for as many months as you can bear, and write other things during that time. Then read it with a critical eye. Even better, find an impartial copy-editor. And avoid works "in the style of..." It takes a very good writer to handle this. Don't try to write like Austen - there's more to it than very long sentences! If you have completed a typescript that you think might suit Top Hat Books, why not send an inquiry in the first instance via the website or facebook.com/tophatbooks. Suzanne Ruthven is the former editor of The New WriterThis well-regarded magazine comes out six times a year and publishes the best in fact, fiction and poetry, including top stories from the Fish Prize and Real Writers annual competitions. Runs annual Prose and Poetry prizes, including short stories, novellas and essays, material to be submitted by end November. The magazine is towards the more literary end of the spectrum, but offers more publishing opportunities and market information for subscribers than other UK-based creative writing magazines. http://www.thenewwriter.com magazine and commissioning editor for Compass BooksAn Imprint Of John Hunt Publishing. Focuses on practical and informative ‘how-to’ books for writers, a writer's how-to book imprint for John Hunt Publishing. 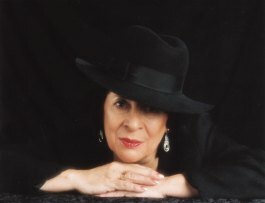 She is also author of nearly 40 titles in the MB&S and countryside genres, including two novels. She regularly provides contributions to a wide variety of different magazines and writing-related blogs and Facebook sites.